The three 451 models Verge D9, and Verge P10, and the flagship Verge X 11, all have a new frame geometry in commom. 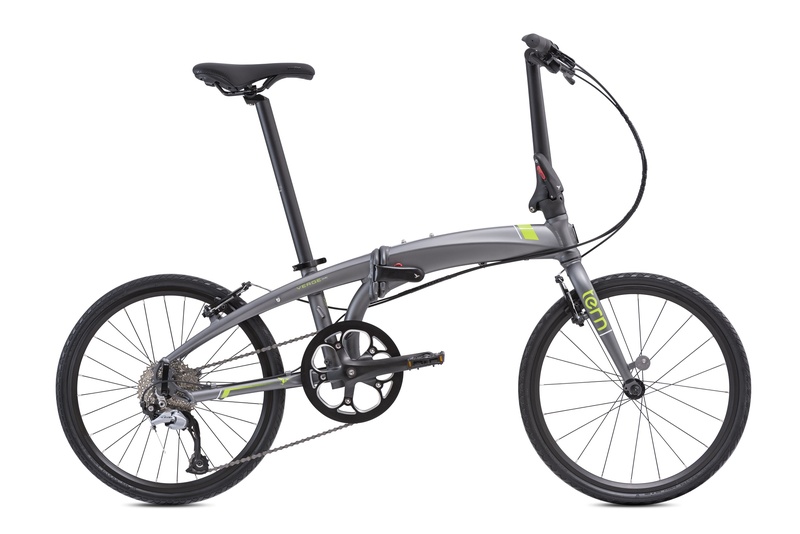 Longer wheelbase combined with the slightly larger in diameter 451 wheels allow to use a long cage derailleur and the use of larger rear sprockets. The gear ratios have a more wider spread, allowing for low climbing power as well as high speed downhill speeds. All three models can be rolled much better, due to both wheels are now in line with eachother. Due to the slightly bigger tire size the fold is just a smitten larger than the rest of the 20 inchers, but the riding feels like a 24 inch bike. It just feels much bigger than it is. If you compare 20 inch tire sizes : think of the usual 406 as 20 inch and the 451 as 22 inch.